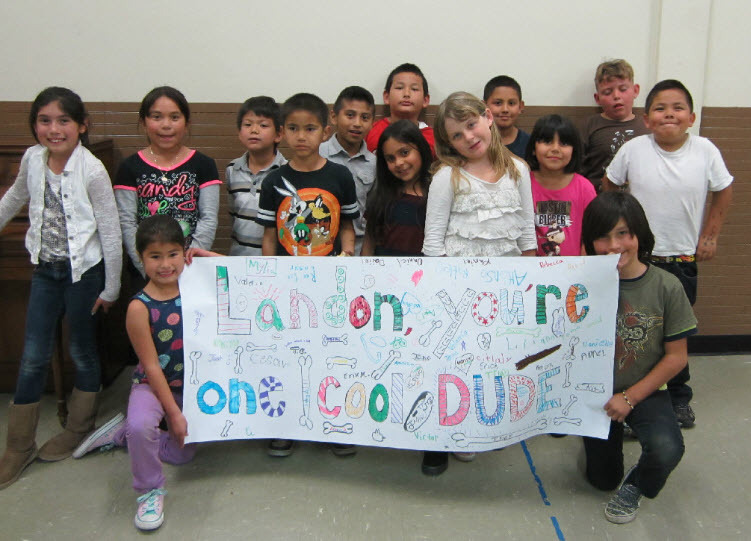 In 2012, Landon debuted his From Rescue to Runway presentation at Boys & Girls Clubs across Southern California. 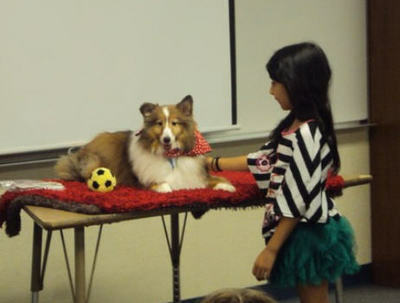 This presentation focused on Landon's story of resiliency, explaining how he healed from his serious accident as a young dog and persevered to become a model, actor, educator, community supporter, health promoter, and expert canine soccer player. Each event received media coverage, leading to more people learning about Landon and his story. Kids would even wait outside the Boys & Girls Clubs for Landon to arrive (as if he was a little rock star). Landon (with the help of his mom) gave out autographs, took photos with the kids, and offered plenty of hugs. The kids were very appreciative, with one child even mentioning to a reporter that if he was ever injured like Landon was, he would never give up so that, just like Landon, he would overcome his obstacles and go on to do great things. One group of kids even made Landon a big "thank you" poster and sold popsicles so that they could raise money to donate to animal rescue groups. How great is that?! 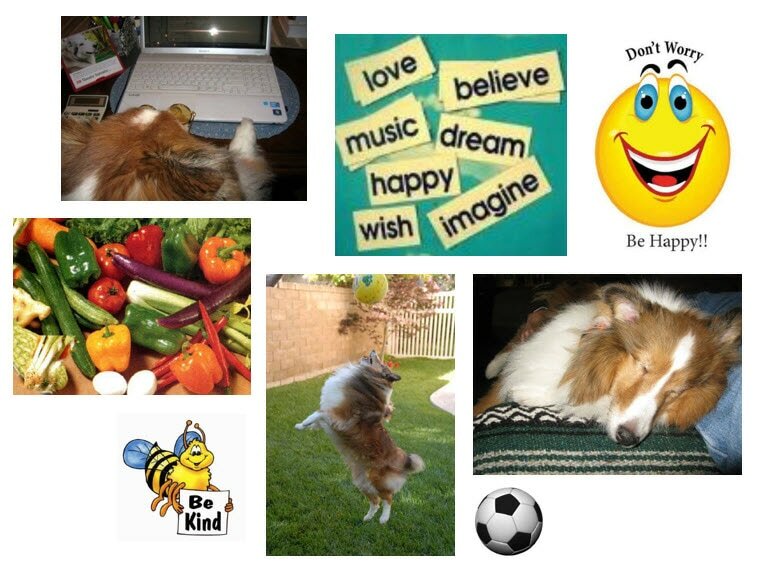 ​In his presentation, Landon inspires kids to move forward by following his 10 tips for a happy life. These are the points that Landon himself lives by. Landon is currently working with Daniel the Beagle on new educational curriculum for elementary and middle schools across the U.S. In 2011, Daniel gained purpose and fame after he survived the gas chamber at a U.S. animal shelter. Sentenced to die, young Daniel miraculously did not succumb to the poisonous gases, and shelter personnel decided to spare him and find him a home. Daniel's adopter, Joe Dwyer, recognized the inspirational potential of Daniel's story and created an educational program for Daniel. Joe and Daniel currently present this program within schools in the eastern U.S. Daniel and Joe were also instrumental in the decision of many U.S. states to outlaw the use of gas chambers in animal shelters. Landon is proud to be working with Daniel and Joe on new educational initiatives. Together, they will reach many children across the U.S. to teach them about resiliency, strength, and wellness. ​For more information about Daniel, see www.danielthebeagle.com. Stay tuned for more information about the two dogs' collaborative projects. The U.S. Centers for Disease Control (CDC) reported that in 2015, suicide was the third leading cause of death for 10-14 year-olds and the second leading cause of death for 15-24 year-olds. Further, among U.S. students in grades 9-12, the CDC found that 17% of students seriously considered attempting suicide in the previous 12 months; 13.6% had made a plan about how they would attempt suicide in the previous 12 months; 8.0% of students attempted suicide one or more times in the previous 12 months; and 2.7% of students made a suicide attempt resulting in injuring, poisoning, or an overdose that required medical attention. ​​ISD Innovations is incorporating this information into an app that helps people recognize these warning signs in others. The app also serves as a guide to obtaining help for these individuals. The app will be available for free in order to help as many people as possible. Landon's educational platform is being supported by ISD Innovations on the belief that Landon's message about wellness and life may resonate with children and teenagers, encouraging them to believe in themselves and to take healthy actions that may help build them a better future. It is an honor for Landon to have this opportunity to possibly influence youth in this positive way. For additional information about ISD Innovations and its app, visit www.isdinnovations.com. In April 2017, Landon represented ISD Innovations at Oxnard College's Prevention Week. At the event, Landon greeted visitors to the ISD Innovations booth and served as a calming presence for many of them. Some visitors stayed with Landon for quite a while, commenting about his ability to reduce their anxiety and uplift their morale. Accompanying Landon in the ISD Innovations' booth was "Ricky" the robotic dog, which was created by ISD Innovations' partner company, Scholastic Robotics. Landon works with Ricky in support of animal-assisted therapy (see additional article below). The following video provides a glimpse of Landon's work at the Oxnard College event. 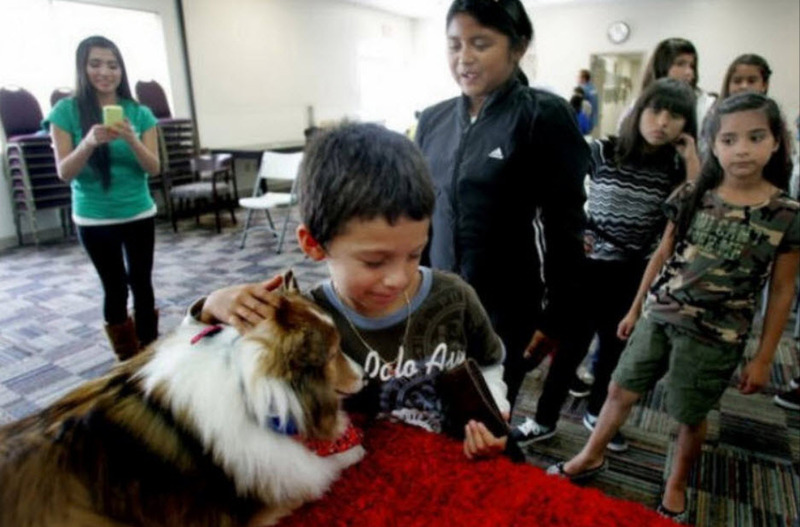 Landon is a certified therapy dog who works with children and adults in care facilities, libraries, and schools. As such, he is a promoter of animal-assisted therapy (AAT). Pet Partners defines AAT as "using an animal alongside a trained health or human services professional in an attempt to aid a person from a physical, emotional, social, or cognitive standpoint." Landon's mom is a strong supporter of AAT, and her doctoral research identified how AAT in hospice care provides benefits to caregivers as well as well as to patients. Other studies have found AAT to be effective in a variety of domains, (e.g., schools, offices, hospitals, prisons, and natural disaster sites), helping children, teens, and adults with a variety of psychological or physical symptoms or conditions. In line with this evidence, Landon and his mom help inform various organizations about the benefits of AAT. Research has also supported the use of robotic AAT for populations that may pose certain risks to animals. For example, a study by Sicurella and Fitzsimmons (2016) showed that robotic puppies may provide benefits to dementia patients in long-term care. The researchers reported that the robotic animals promoted interaction in the patients and also aided these patients’ caregivers, since they could use the animals to trigger life review conversations or to distract patients from boredom. Such evidence has led to Landon's involvement with Scholastic Robotics, which created a robotic dog named "Ricky" to help children with autism improve their relationship skills and be more open to learning. Ricky can also be used within schools to help school kids learn about a variety of subjects. Ricky is cute, furry, and approachable, and he is programmed to both ask and answer questions (even in multiple languages!). Landon is proud to work with Scholastic Robotics, informing people about Ricky's potential to improve children's lives. To see Scholastic Robotics' Ricky in action, take a look at the videos provided below. Additional information is also available on the company's website at www.scholasticrobotics.com/.